Ole Gunnar Solskjaer is looking forward to the sort of big European night Old Trafford has been missing of late when Manchester United face Paris St Germain on tonight. 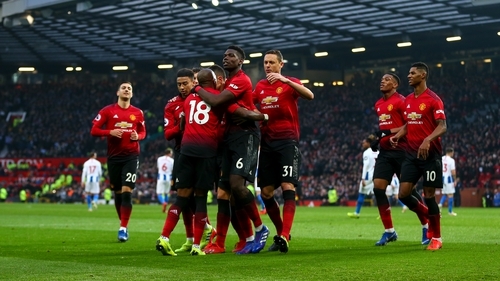 "The players and the supporters have been looking forward to this," Solskjaer said. "These nights are special. "They are the sort of games Solskjaer was used to in his United playing career under Sir Alex Ferguson. "My last one was when we beat Roma 7-1 (in 2007)," he said. "That was a typical Old Trafford night. We'd lost 2-1 away from home but the manager was happy. He said, 'We'll be alright, we'll win at home', he was so confident in our ability. "I want my players to go into this game with confidence and embrace it." "Before I came in of course I couldn't (expect this)," he said. "You always expect to win every game of football when you have players like this and you're at a club like this but we know we're not going to win every single game. "I think the players are still disappointed with the two points lost against Burnley and so am I. "I've loved every single minute of it. We knew we had a big challenge in front of us because we were far behind in the league, confidence was low after the defeat to Liverpool but they have responded fantastically. "I don't think we could be in a better frame of mind and we're looking forward to the next few games." Follow Manchester United v PSG on our live blog here on RTE.ie and watch the game live on RTE 2 and the RTE Player from 7pm.